The sacraments are the very lifeblood of our soul, yet in the midst of our busy lives, we can fail to understand their power and importance. Without them, we are spiritually dead. With them, the very life of God runs through us. In this new 8-part program from Saint Benedict Press, the Church’s sacraments are presented in such a way that no viewer will ever again take them for granted. Host Fr. Matthew Kauth of the Diocese of Charlotte illuminates not only the scriptural foundation and profound spiritual realities of each sacrament, but also their necessity as a means to living a happy and fulfilling life. Join us as we meet each Sunday in the St. Patrick School Leap Room from 10:15—11:30 am for our Spring/Summer adult group study program to discuss Fr. Kauth's series on the sacraments. Sunday meetings are held in the St. Patrick School LEAP room, 10:15-11:30 am. 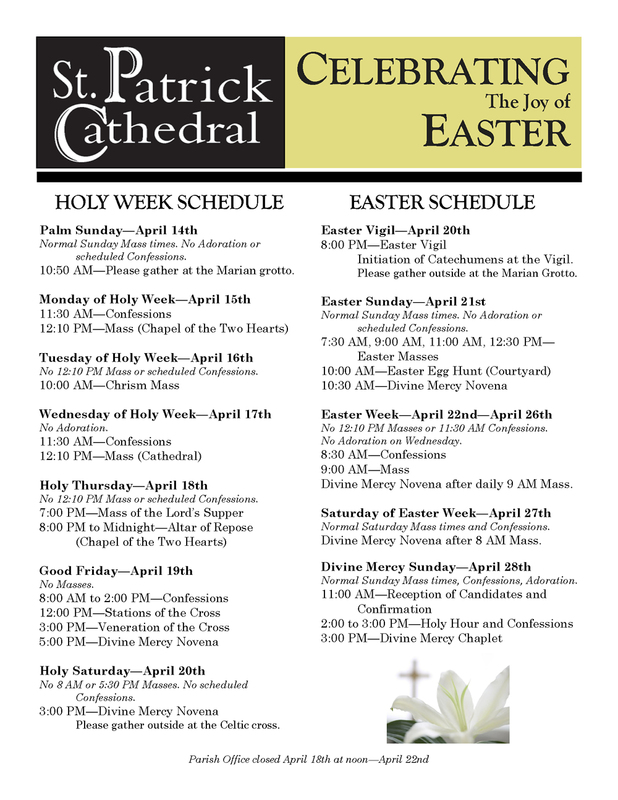 To register, either pick up a form in the Cathedral and return it with your payment to the parish office, or fill out the simple online form below and pay online. The registration fee is $30 which covers the cost of all study materials. If paying by check, please make checks payable to "The Cathedral of Saint Patrick" and put "AFF Study" in the memo. Checks can be dropped off at the parish office Monday through Friday, 9 am - 5 pm. Thank you!